Open 08:00 – 19:00. This piano is designed by Themba Mkhize. 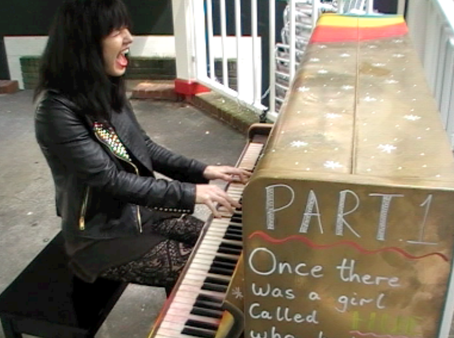 Set myself a project this year...Adele song on many street pianos! Pianist of local band 'Death In Texas' performs a solo set today. Go to facebook.com/deathintexas for more info.